Grace is not only the best option for the NY6, but for the entire country. With the election just around the corner, it is with a deep sense of respect and admiration that I humbly endorse Grace Meng for United States Congress. As a community activist, a reporter, and as a volunteer in many service organizations and political clubs, I’ve had the chance to witness Grace Meng grow as a leader not only for Queens but for the entire country. Since the beginning of the campaign, on Queens-Politics you could read up on the latest press releases, news, and commentary from both candidates. At times you’ll notice a vibrant dose of criticism for both Grace Meng and Dan Halloran. But after my own final observations and a thorough vetting process, I feel that Grace Meng would be the best choice for New York’s Sixth Congressional district and here’s why. 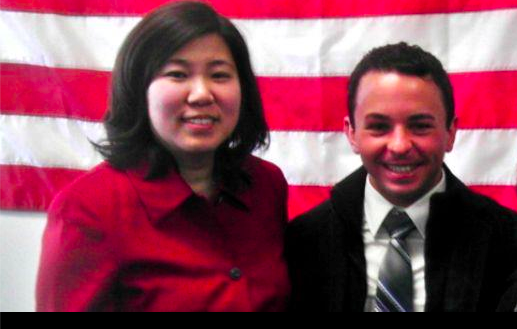 Grace is the voice of Flushing and has always embraced a small business philosophy as a bedrock of her principles. Grace is an independent, socially progressive, and an advocate for community empowerment. Her core strengths are in diplomacy, mediation, and cooperation – the type of qualities in a leader that we need to send to Washington to end the gridlock, not add to it. Looking at the bigger picture and by that I mean placing the politics, the rancor, and partisan discord aside, I feel that Grace has the type of character, intelligence, and temperament to solve local, national and international issues as demonstrated in her work ethic and on the campaign trail. She’s a moderate, meaning she’s a pragmatist and her friendly disposition appeals to both sides of the aisle. People have always found it easy to speak frankly with Grace, and community leaders appreciate both her independence and the attention she devotes to even the smallest issue. Grace is a mom, a daughter, a sister, and a Queens hometown hero. She has earned our respect and our vote. I am proud to endorse her for Congress and ask you to do the same to your friends, family, and neighbors. On Election Day November 6th I respectfully urge the readers of Queens-Politics to consider the future of our Republic and cast your vote for Grace Meng for New York’s Sixth Congressional District. Grace and I pictured here at her endorsement by the Italian-American Political Action Committee. On Tuesday November 6th, Vote Grace Meng For Congress.